VOIP is an acronym for Voice Over Internet Protocol, or in more common terms phone service over the Internet. 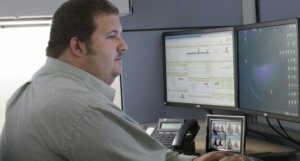 If you have an Internet connection, you can get phone service delivered through your computer instead of from your local phone company. With VoIP service, your phone calls travel over the internet as data, just as e-mail does. This type of service can dramatically lower your telecommunications costs while increasing your productivity. Voice over Internet Protocol technology can increase the overall productivity of an organization by allowing their employees to multi-task without interruption. It also allows the organization to allocate funds usually spent on traditional phone bills to other aspects of the business. VoIP allows users to attach documents, conduct virtual meetings, and share data via video conferencing. VoIP technology has also enhanced voice clarity to make it indistinguishable from traditional telephony. Recent improvements in VoIP technology has made it more appealing to businesses and corporations who do not want to deal with previous bugs. Running a small business can be problematic, and smart business owners are always looking for ways to improve services while cutting costs. Many small businesses today are making the switch over to VoIP business phone systems. There are plenty of benefits to using such a service, but a lot of small business owners are overlooking some of the most valuable features. Beyond options like voicemail, call waiting, toll-free numbers, call forwarding, and remote operation, you’ll find a host of other features that can help your small business. The most attractive feature of VoIP is its cost-saving potential. The cost of using a VoIP telephone is much cheaper than using a conventional phone. Making long distance phone calls are also cheaper when using a VoIP provider. It also enables the user to integrate software programs, such as e-mail, e-fax and remote conferencing over the Internet via the telephone. In other words, a VoIP user can speak to somebody over the phone while accessing other applications, including the Internet simultaneously. No matter the size of your business, VoIP is a surprisingly flexible, affordable technology and we would be happy to talk to you about how we can help you set it up. If you’re ready to cut phone lines, and costs, contact a Boring representative today!